Each member of Blue Key is a top student at Missouri S&T. The society also gives back to the student body to promote academic success with textbook scholarships and recognizing hard working students. Not only are Blue Key members selected from on-campus leaders but there are plenty of leadership opportunities within the organization as well. Blue Key members complete hundreds of hours of community service hours each year. Projects ranges from calculator drives, to passing out drinks and snacks, to putting coins in parking meters. Blue Key Honor Society is a premier honor society that recognizes college students at senior institutions of higher education for balanced and all-around excellence in scholarship, leadership, and service. 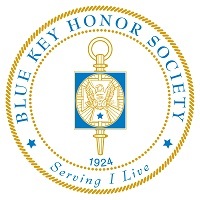 Blue Key Honor Society bases its eligibility for membership on all-around leadership and integrity in student life, high scholastic achievement, and service to others. Blue Key Honor Society is unique in that it recognizes upper-classmen at colleges and universities throughout the nation for an exemplary and balanced record of achievement inside and outside the classroom. Blue Key Honor Society celebrates and honors the many accomplishments of its membership. The special qualities of Blue Key members as they model service to others include intellectual curiosity with a desire to acquire knowledge, modeling a significant pattern of leadership which contributes to the institution's student and campus life, service to the community and citizenship, expressing humility through moral character and integrity, and a strong sense of faith in word and deed.